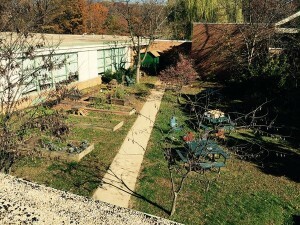 Campbell Elementary has been committed to its classroom gardens from the very beginning of the school. 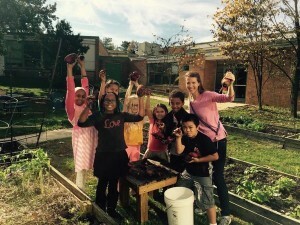 In 2013, the school began an informal Farm to Table pilot program. It began simply, with a PTA funding request for an induction cooking surface, so that cooking would be safe for the kindergarten students who would be using it. From that simple request, and the kindergarten's food garden steps from the door of the classroom, a full blown Farm to Table program was born. Four years later, all of Campbell's students take part in the program. 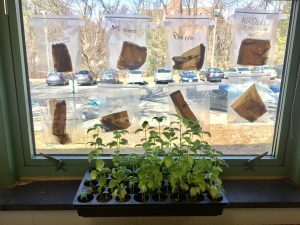 Growing plants for food, cooking in the classroom, and perhaps most importantly, enjoying eating the healthy food they have grown and prepared. The impact of the garden and farm to table program at Campbell is hard to exaggerate: it is integrated into many aspects of the students' learning and moving throughout the day. From growing plants in organic dirt, to eating the plants that are grown, to feeding scraps to the courtyard pond's turtles, the children involved in Campbell's garden and farm to table program are learning about the full life cycle of sustainability. This program has been growing steadily for years, from a single induction cooking plate to our Big Bad Basil Expedition in 2017. See this Green Scene video from 2014 when Campbell built hugelkultur garden beds that are now prolific and stand next to the greenhouse. 100% of Campbell's students will have the opportunity to be involved with Campbell's gardens and Farm to Table program during their tenure at Campbell. 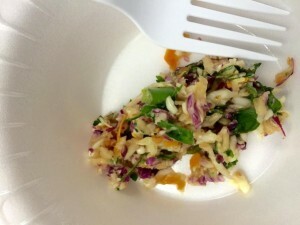 Two additional schools will receive bottled basil vinaigrette as part of Campbell's sustainability community outreach. Campbell's further reaching sustainability outreach (this documentation) has been created specifically to highlight the value of involving students in organic gardening and farm to table projects as part of their school curriculum. Full circle. Planting garlic from heads grown in our school garden. Making our own butter, too. Staff, students, organic empowerment. ❤️ my job. 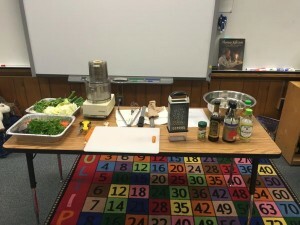 Set up for Asian Slaw w/3rd grade using garden produce. Rave reviews!
. 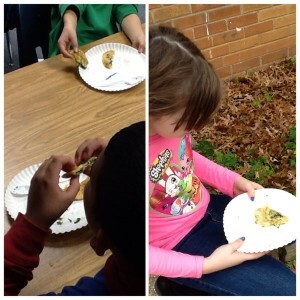 5th graders enjoyed baking pastries with plants they grew in the garden. Mapping the courtyard garden with natural materials! 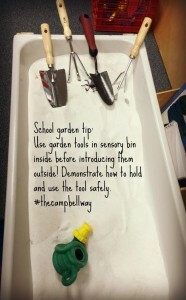 @FeedFamilyWell #thecampbellway #outdoorclassroom ? Gorgeous edibles midwinter @CampbellAPS @APSlunchrocks #outdoorclassroom #schoolgarden #whatcoldweather? 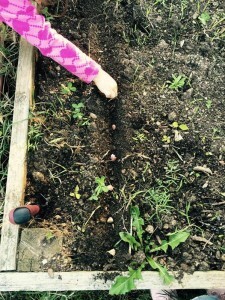 Earth Day garden planting. What’s the A & P of the garden? What fraction of the seed packet should we use? 2nd grade Ss learn about fertilizing w/seaweed in our #organic #schoolgarden @CampbellAPS @MissBelber Serious work. 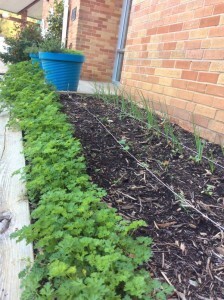 @CampbellAPS we did some weeding to help beautify the outdoor garden for Saturday! The #schoolgarden @CampbellAPS doesn’t stop for #summer Look what families got to take home! Lots of help today at the Garden workday! Helping @bibliobunny beautify the @CampbellAPS Reading Garden!? Seed saving today w/@MsBergsClass Okra seeds for next Summer @CampbellAPS Garden jobs belong in the hands of Ss.